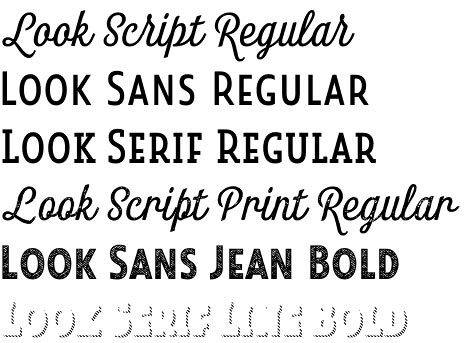 Look typeface is a modern font hyper family that will instantly get you back in the 1950’s. 1950’s! For the people of the USA it was a post war time of rapid economic and scientific advances, vast improvement of the quality of life, high expectations and cultural changes. All these created landmark works typical for the era. Of course there were landmarks in the type design too. 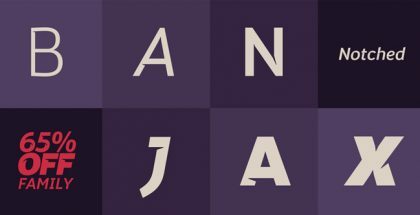 Look typeface pays tribute to those, conveying the spirit of that age into our modern digital era. Its remarkable retro appearance and very high readability makes it perfect for many different applications such as subheadings, posters, logos, signage, headlines, advertisements, corporate design or overall anything that has to catch people’s attention. If Look typeface is to be described in a single word this would be – versatility. 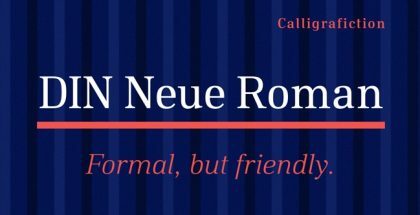 It is indeed a super family that consists of three sub- families (Script, Sans and Serif) each containing three weights (Light, Regular and Bold) with each weight featuring different number of very interesting fonts like Jean, Wood, Rough, Print and Regular. All in all the family accounts for more than 70 fonts! On top of that all these could be combined with the additionally supplied Ornaments that will make any text one-of-a-kind. Also, we feel that there is a group of fonts that deserves special mention and this is Shadows. Automatically offset, they could be added to any of the Look fonts in order to increase depth. 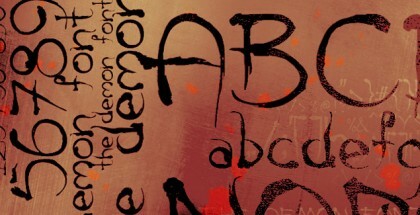 Those with access to the OpenType compatible software will be able to use extras like swashes and alternates. Overall, with Look font family users will be surprised by virtually endless opportunities it provides! 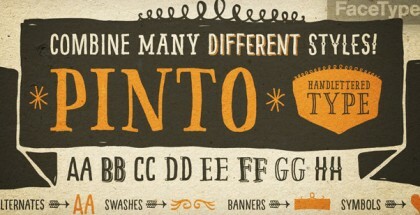 Look super family is designed by Jeremy Dooley and released by his one man foundry insigne. By looking Jeremy’s work we cannot but think what an amazing gift the talent is! A self-taught type designer, he doesn’t stop providing extraordinary typeface families like: Mr. Darcy, Ainslie Slab, Le Havre Rough, Plathorn, Cabrito Sans, Oita, Ainslie Sans. 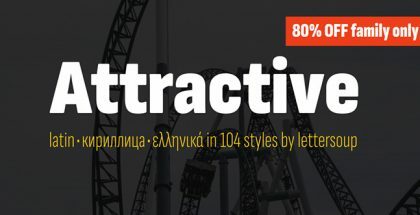 Get Look font family and enjoy endless possibilities!